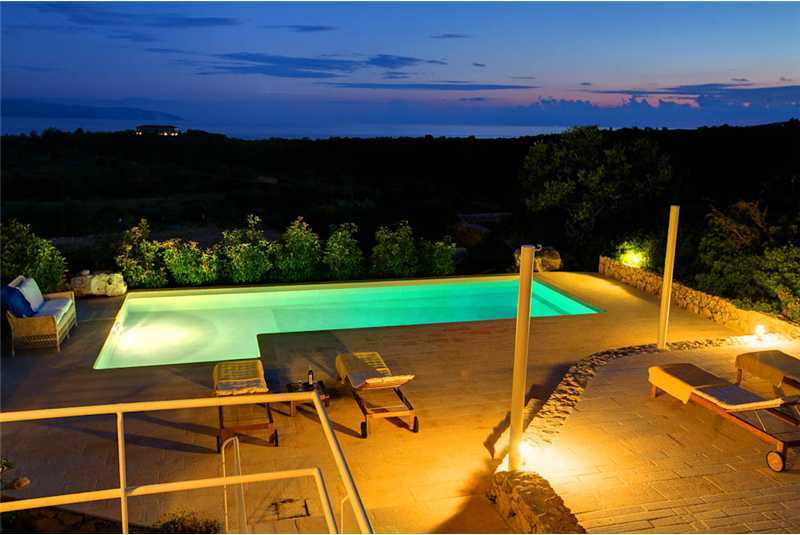 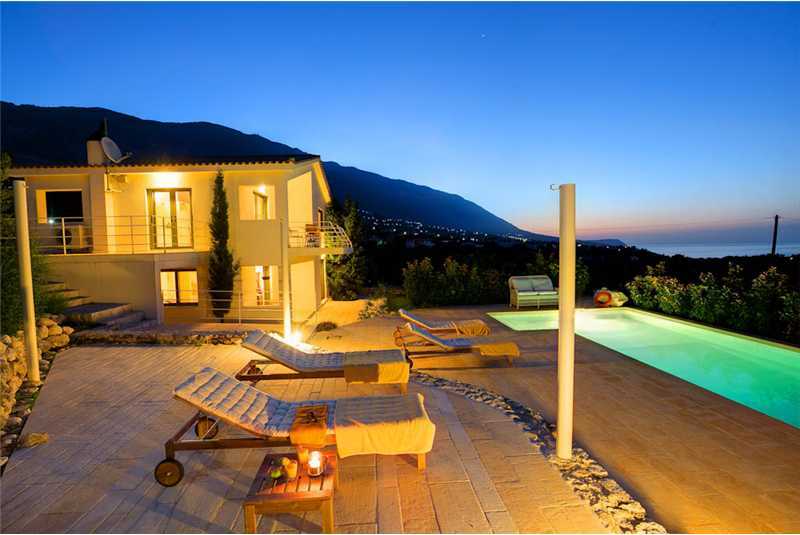 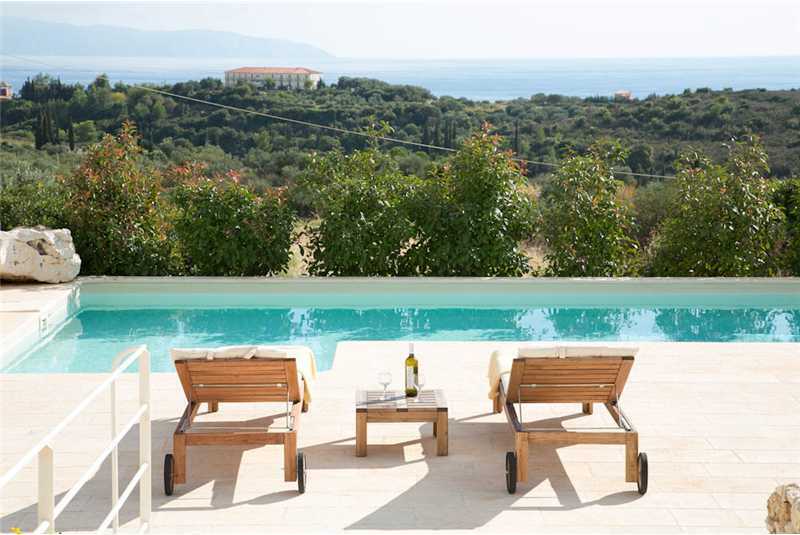 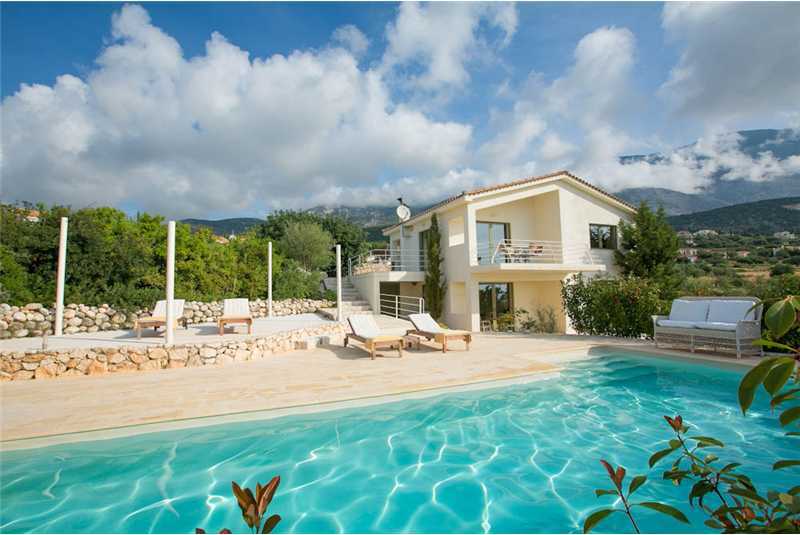 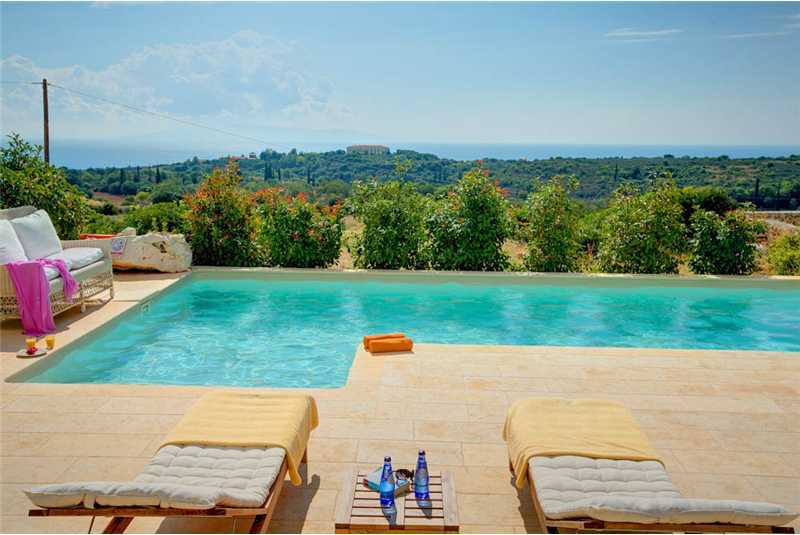 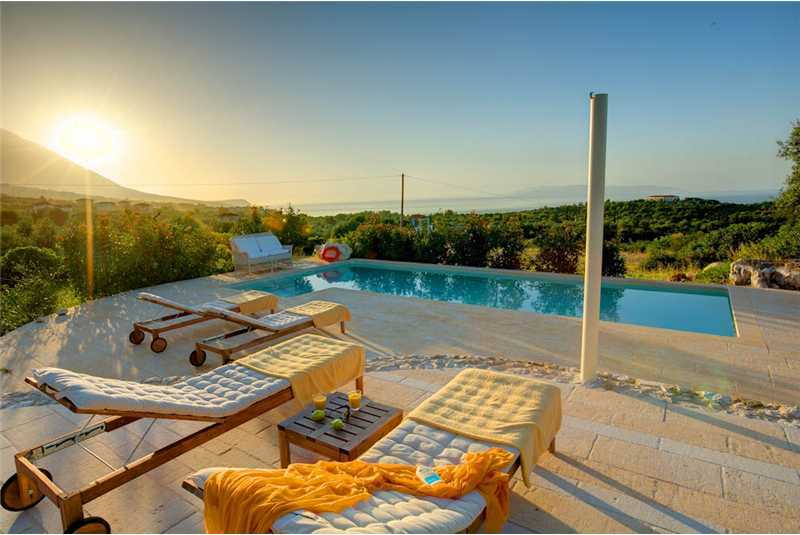 Villa Xteni is a modern two bedroom villa, close to the village of Moudasa in the resort of Trapezaki, close to several beaches, with shops and tavernas nearby and stunning sea views over the Bay of Lourdas to the Island of Zante. 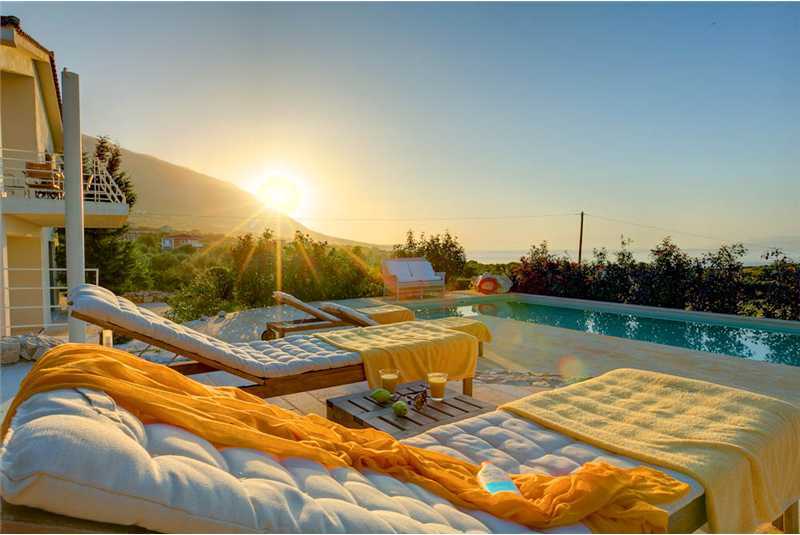 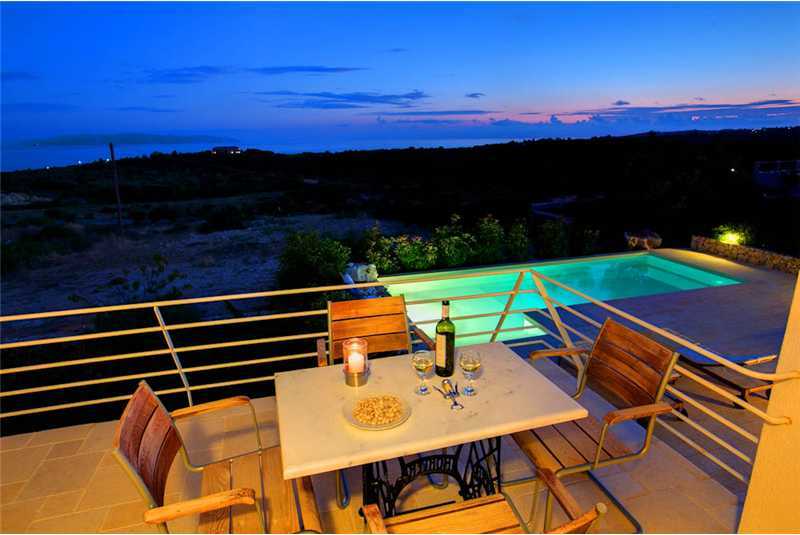 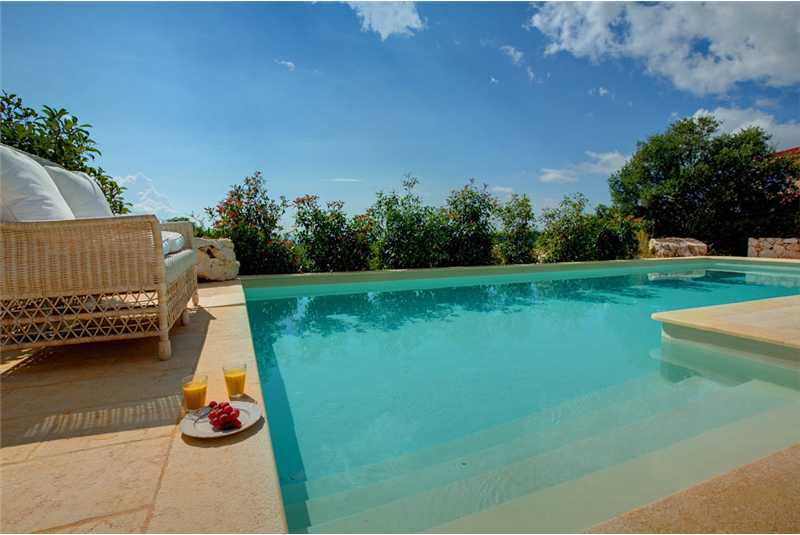 Villa Xteni is located on the outskirts of the village of Mousata in the resort of Trapezaki and is one of 11 private villas in a secure gated complex. 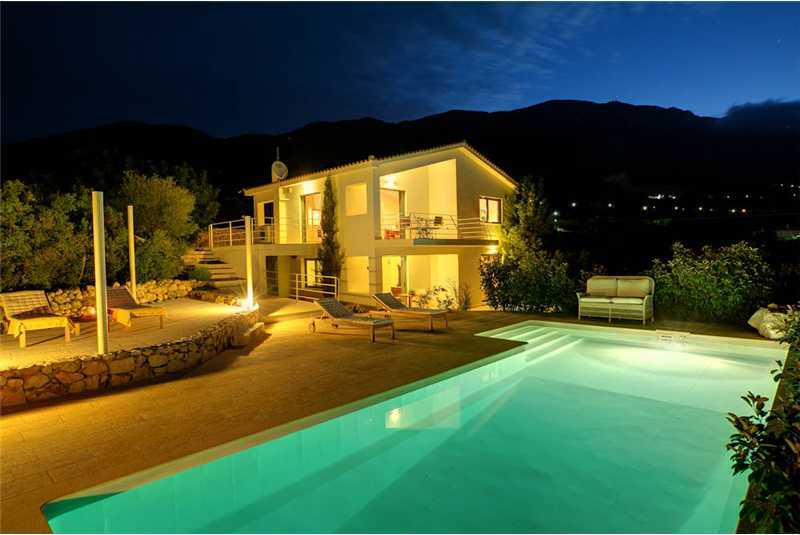 The village of Mousada has its own bakery, two tavernas, some small mini markets and is less than two kilometres or five minutes in a car to the quiet and unspoilt beaches of Trapezaki and Kanali. 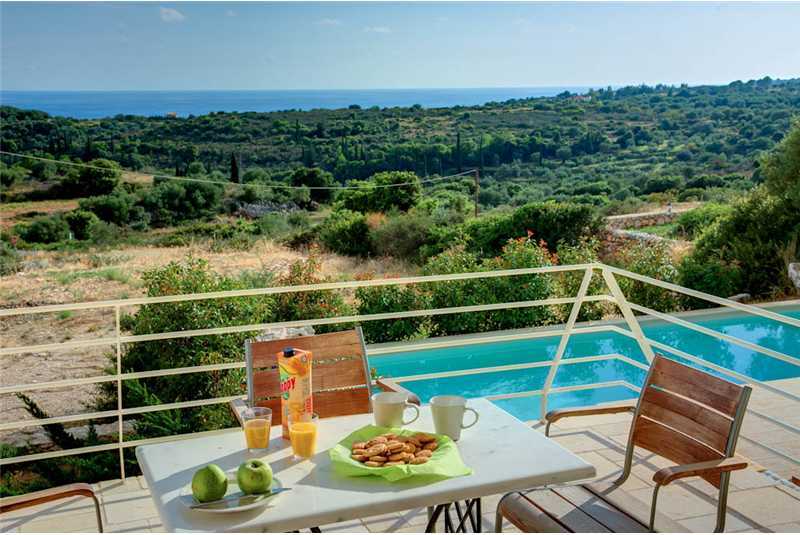 The village of Lourdas is less than 10 minutes drive, where several excellent tavernas overlook the quite shingle/sand beach and for the more adventurous, you can hire speed boats to explore the beautiful southern coast of Kefalonia. 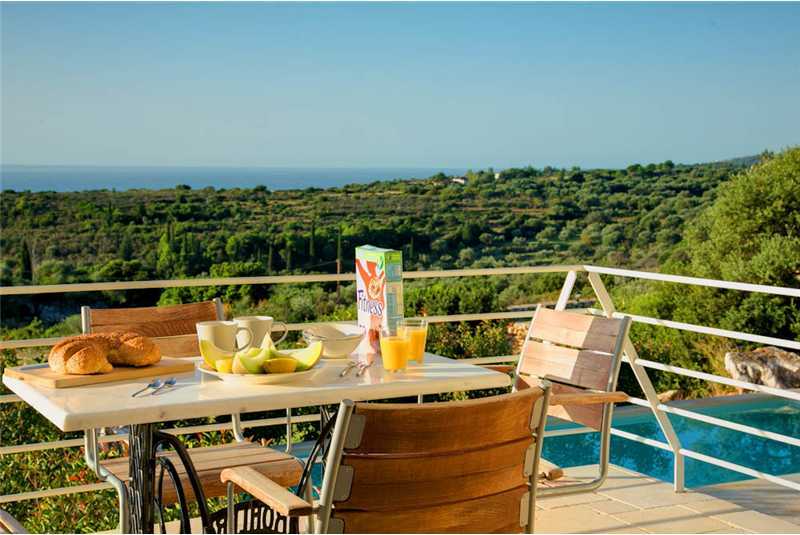 A twenty minute drive will take you to the capital of the island, Argostoli, here you will find an attractive main square, a pretty harbour promenade, lots of cafes and restaurants, the largest supermarkets on the island, fish mongers selling today catch and the best fresh fruit and veg. 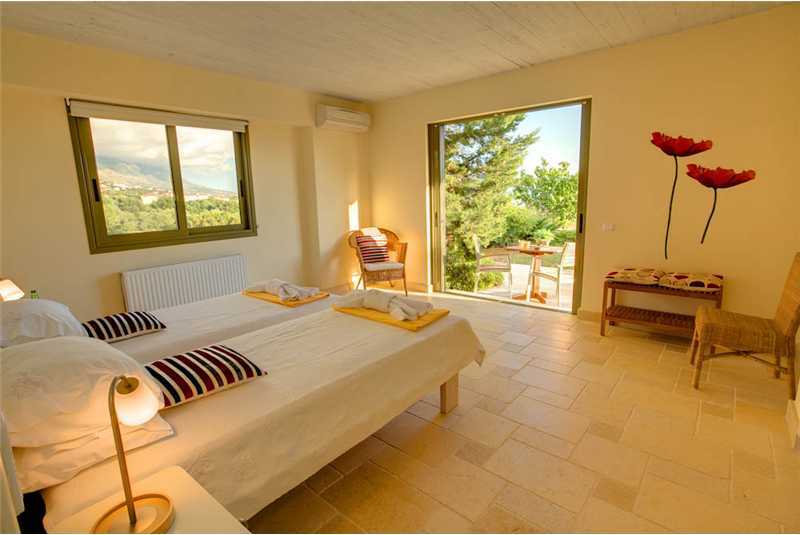 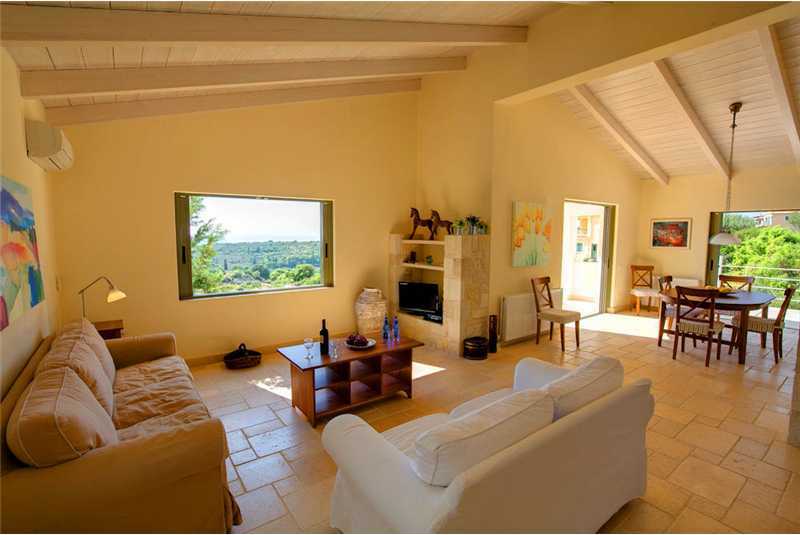 The entrance to Villa Xteni is on the first floor which opens into a lounge furnished with two white modern sofas, high wooden vaulted ceilings and hand carved stone walls. 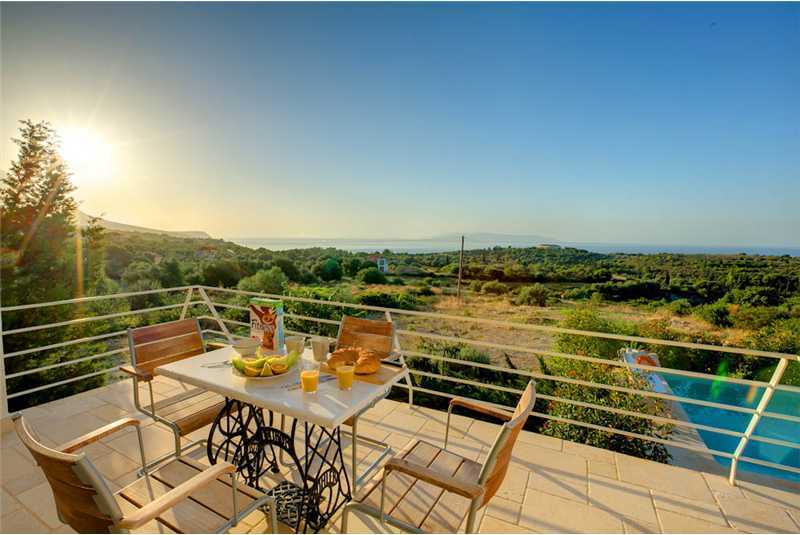 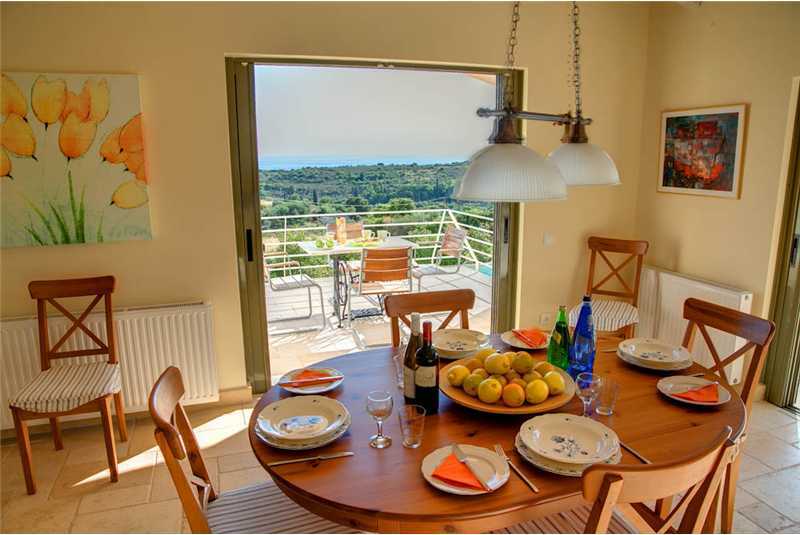 To the right of the lounge is a modern fully equipped kitchen with breakfast table and chairs and access through sliding double doors onto a large, partially covered balcony where you can relax and enjoy the stunning views. 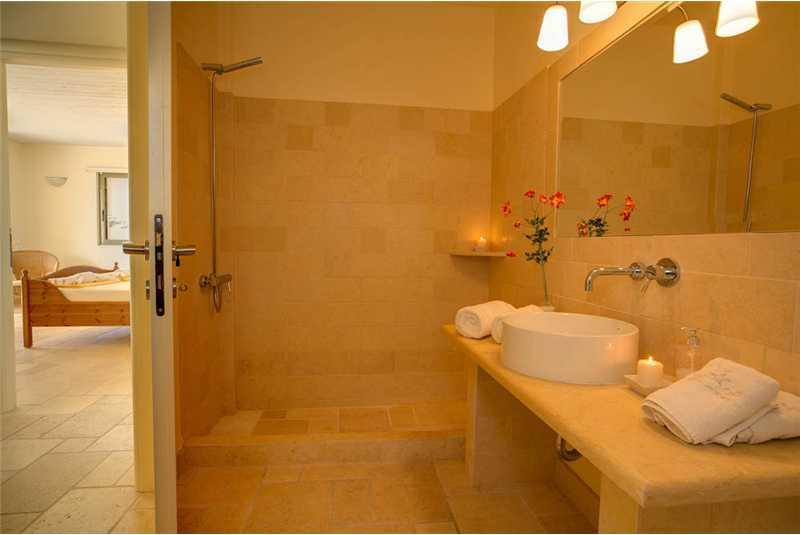 A marble staircase leads down from the lounge to the lower floor where there are two bedrooms, a twin and master double. 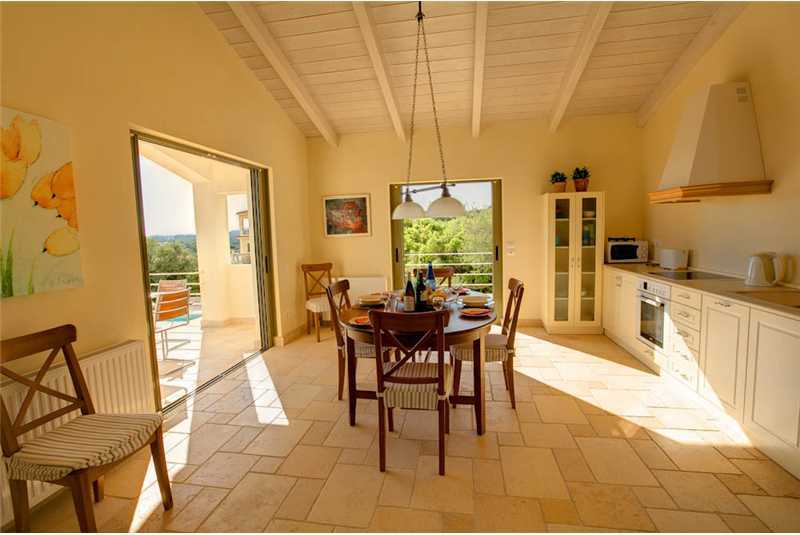 The master bedroom has a walk in wardrobe, en suite bathroom and access via a sliding double door onto a covered patio area furnished with a sofa, a set of stairs lead up from the landscaped gardens onto the swimming pool area. 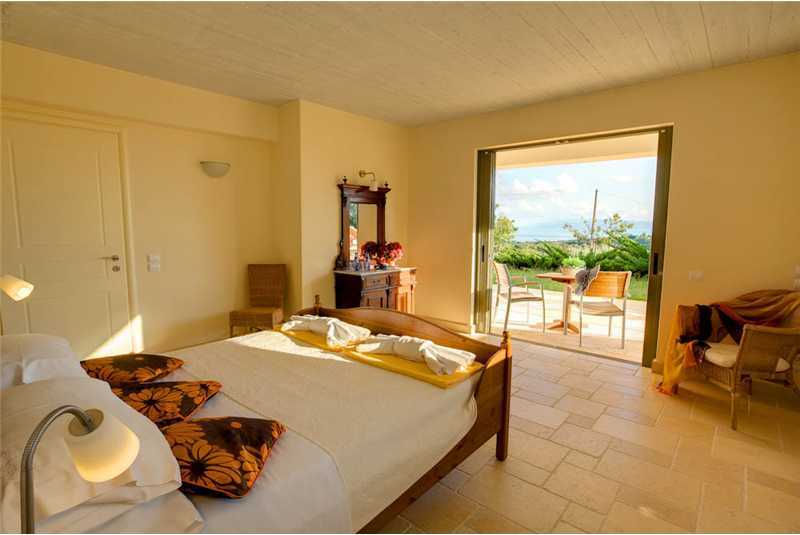 The twin bedroom also has access out into the garden through double doors, but has a separate shower room. 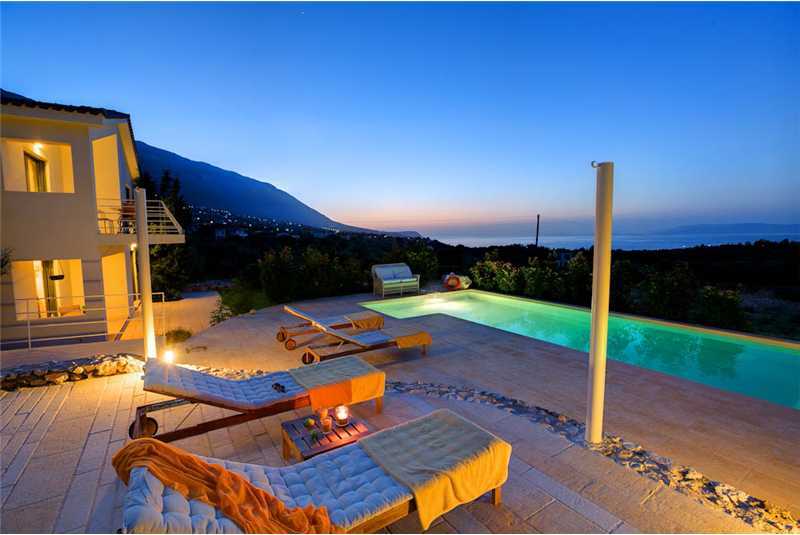 There is also a set of stairs leading down from outside the kitchen to the large private swimming pool.